Leonie Nelly Sachs, born in Berlin on December 10, 1891. As refugee, arrived in Sweden with my mother on May 16, 1940. Since then living in Stockholm and active as writer and translator. Nelly Sachs (1891-1970), daughter of a wealthy manufacturer, grew up in a fashionable area of Berlin. She studied music and dancing and at an early age began writing poetry. After her escape to Sweden in 1940, Miss Sachs took up the study of Swedish and devoted much of her time to the translation of such Swedish poets as Gunnar Ekelöf, Johannes Edfelt, and Karl Vennberg. Nelly Sachs’s career as a poet of note started only after her emigration, when she was nearly fifty years old. Her first volume of poetry, In den Wohnungen des Todes (In the Houses of Death), 1947, creates a cosmic frame for the suffering of her time, particularly that of the Jews. Although her poems are written in a keenly modern style, with an abundance of lucid metaphors, they also intone the prophetic language of the Old Testament. The collections Sternverdunkelung (Eclipse of Stars), 1949, Und niemand weiss weiter (And No One Knows Where to Go), 1957, and Flucht und Verwandlung (Flight and Metamorphosis), 1959, repeat, develop, and reinforce the cycle of suffering, persecution, exile, and death which characterizes the life of the Jewish people, and becomes transformed, in Nelly Sachs’s powerful metaphorical language, into the terms of man’s bitter, but not hopeless, destiny. Of her poetic dramas, the miracle play Eli (1950), broadcast in West Germany as a radio play, has been widely acclaimed. 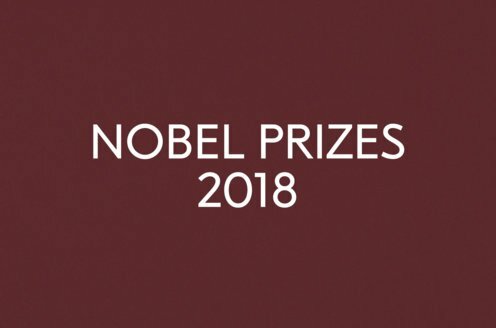 Nelly Sachs has received awards in Sweden and Germany, among them the Prize of the Swedish Poets Association (1958) and the “Friedenspreis des deutschen Buchhandels” (1965). In 1961 her collected poems were published under the title of Fahrt ins Staublose (Journey to the Beyond); her verse dramas in Zeichen im Sand (Signs in the Sand). O the Chimneys, English translations of some of her poetry and of her play Eli, appeared in 1967. 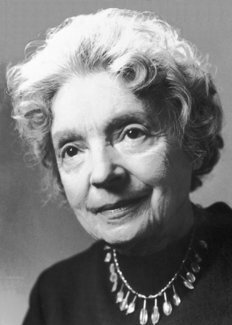 Nelly Sachs died on May 12, 1970.